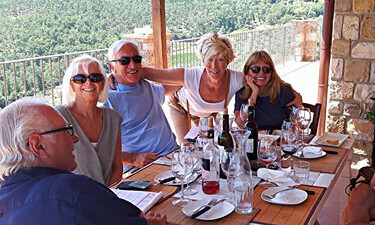 It is mine and my partners wish to offer the best Tuscany wine tours possible. If you’ve done some research, you’ve no doubt found many companies offering cheaper tours. Why is that, and how do they do it? Well it’s extremely simple; first they attract you by offering convenient prices up front. They then recover their money by taking you to wineries that offer them commission on sales. Some wineries even offer commission just to bring people into the tasting room. There’s nothing illegal in this, and if you’re looking for a more economic solution, this could be the way to go. However as is obvious, these venues are very popular, and there’s a never ending flow of vans and buses. Prepare to be seated in a in a crowded, noisy tasting room and be herded around the cellars in a large group. You’ll be treated courteously, but with so many people, service is going to be anything but personal. Of course you’re under no obligation to make purchases, but if you do, prices will be significantly higher to cover the cost of the commission. 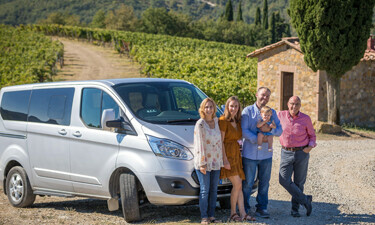 What makes ours the best Tuscany Wine Tours? My partner Myriam and I have decided to take a different approach. 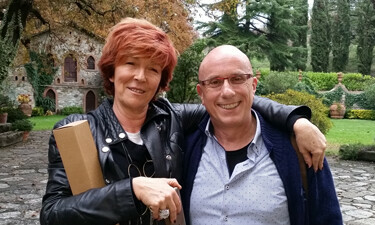 To meet our desire to offer only the best Tuscany wine tours on the market, we’ve come to an agreement with the wineries we visit. In fact we pay for our tastings and visits, and sometimes it’s a handsome price. In return, we expect and obtain that our clients receive only personalized attention. This also means your tour of the estate will be individual, and you will have a private table in the tasting room. Above all, we visit smaller wineries that strictly limit the number of people present. We guarantee we’ll keep you well away from the crowds. We can also cater for totally private tastings, where you will be the only guests for the hour and a half of the visit. This comes at no extra cost, and if interested just ask. I also care to point out we don’t get commission (if you exclude the occasional gift of a bottle of wine). This means the bottle/s you may eventually decide to buy, will come at a much more convenient price point. So our pricing policy is simple! The fee we ask covers our expenses and profit margin adequately, and we pay for tastings out of that fee. There are no hidden extras, and we have no need to recover money in other ways. This leaves us free to choose our venues based on the quality of the experience, and the quality of the wines. Last but not least, we take the most scenic routes not the shortest. We’re in no hurry, and want you to enjoy the Iconic Tuscan countryside to the full. So in a nutshell, here’s why we believe we’re offering you the best Tuscany wine tours on the net. 1. We’ll keep you well away from the crowds. 2. You’ll enjoy slow paced travel in a private recent model minivan. 3. You’ll receive personalized attention during visits and tastings. 4. You will visit only wineries that offer quality wines at reasonable prices. 6. 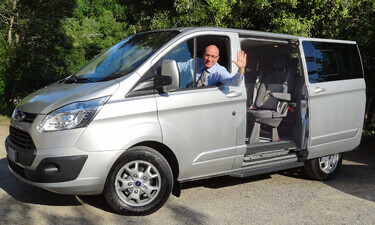 We have years of experience in touring the Tuscan countryside, and we speak perfect English. We put every effort into offering you the best Tuscany wine tours on the market, not the cheapest.